We have paired these beautiful blossoms with Deep Water Roses, Kimsey Germini, Eustoma Blue Edge, Dragonfly Lilac, and Eucalyptus. Inspired by the September birthstone, Sapphire, our skilled florists have put extra thought and effort into making this birthday gift truly special. 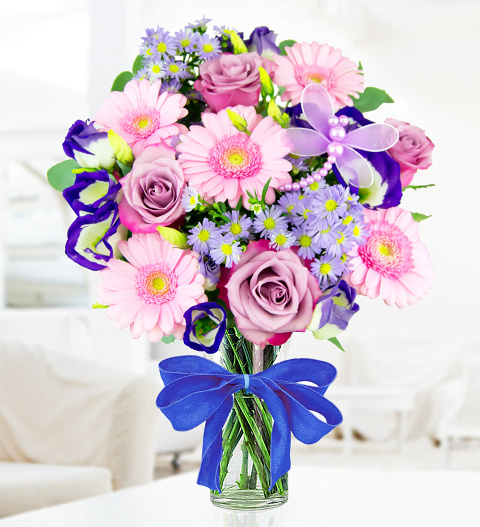 Eustoma flowers will arrive in bud so that your recipient can enjoy them for even longer. Chocolates may contain nuts.